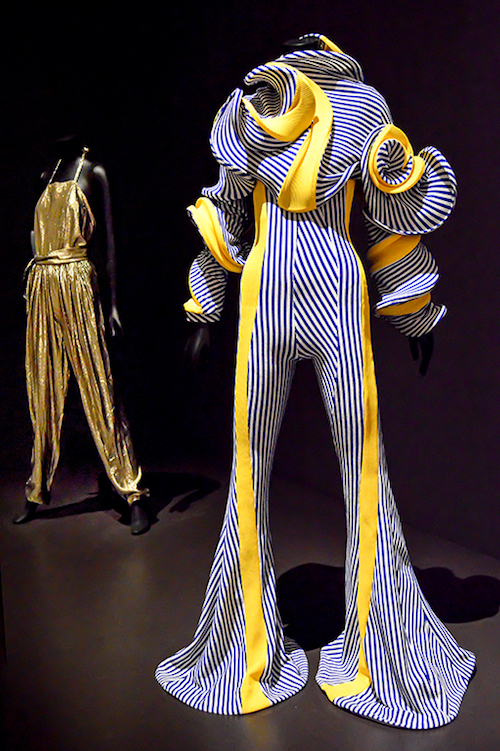 Opening the Museum of Modern Art’s exhibition Items: Is Fashion Modern? is the pièce de résistance. It’s a long, low platform filled with little black dresses. 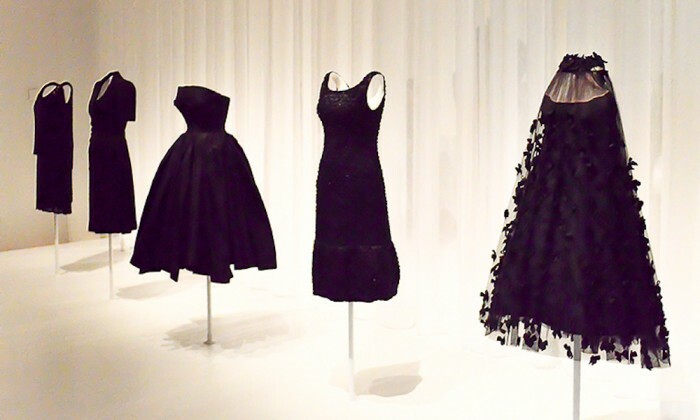 They’re iconic, stunning and made by designers like Gianni Versace, Thierry Mugler, Christian Dior and Coco Chanel. From there, the curators take us immediately below the surface, to underwear—Wonderbras, Spanx, Calvin Klein briefs and pantyhose. It’s designed to make us think about what’s hidden and what’s revealed in our relationship to what’s closest to our skin every day. Rather than opulent ball gowns, the museum’s first exhibition of fashion since 1944 offers challenging questions in signature MoMA style. 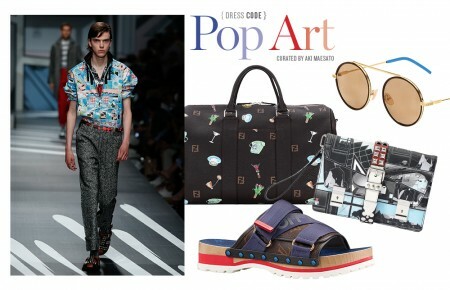 Items: Is Fashion Modern? presents archetypal, cutting edge, quirky or commonplace garments filling an entire floor. It also frames a follow-up question through a series of commissioned pieces by contemporary artists and designers that push the boundaries of what clothing can be and do: how can we make it more modern? More than a dozen years ago, senior curator Paola Antonelli started compiling a list of garments that touched lives and told compelling stories. A little over three years ago, MoMA director Glenn Lowry asked if she was ready to make an exhibition out of it. Antonelli, along with Michelle Millar Fisher, Stephanie Kramer, Anna Burckhardt and Kristina Parsons, wove that list into a probing, thought-provoking, dazzling and revelatory show. 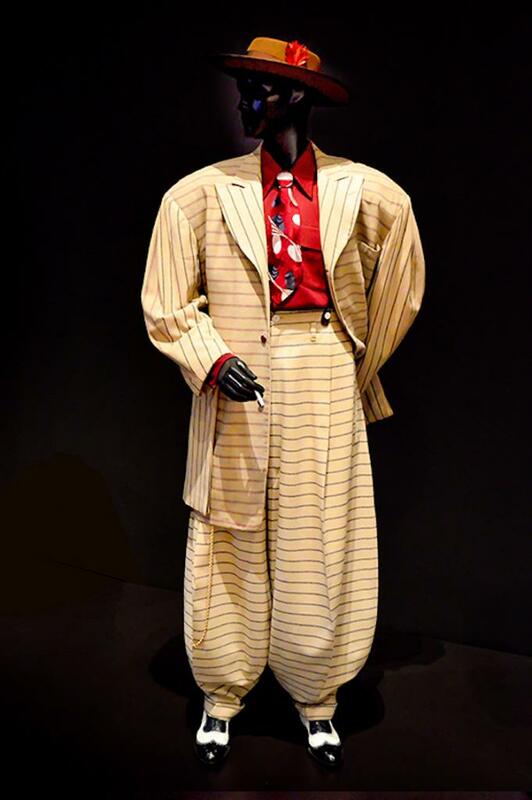 Through Jan. 28, 111 quintessential items of clothing, some modest, some glamorous like Birkin bags or pearl chokers, some relics of another time, like the Jazz-era Zoot Suit, are taken off the rack and put on pedestals. Each one, from the humble red and white bandanna to Elton John’s monogrammed silver lamé platform shoes, shines under the lens of modernism. The exhibition fashions a new way of seeing, considering and enjoying the functional and often brilliant pieces of design that are closest to our lives. Garments made by world-famous designers, as well as anonymous, traditional craftspeople and factory workers are presented side-by-side, challenging assumptions about hierarchies of wealth and status. Together, the 111 pieces illustrate how clothing allows us to alter our forms, prepare physically and psychologically for the world outside, state our preferences, protest or support causes and embrace or reject ideas of beauty. Even the simple white T-shirt is rife with historical, societal and environmental complexities. 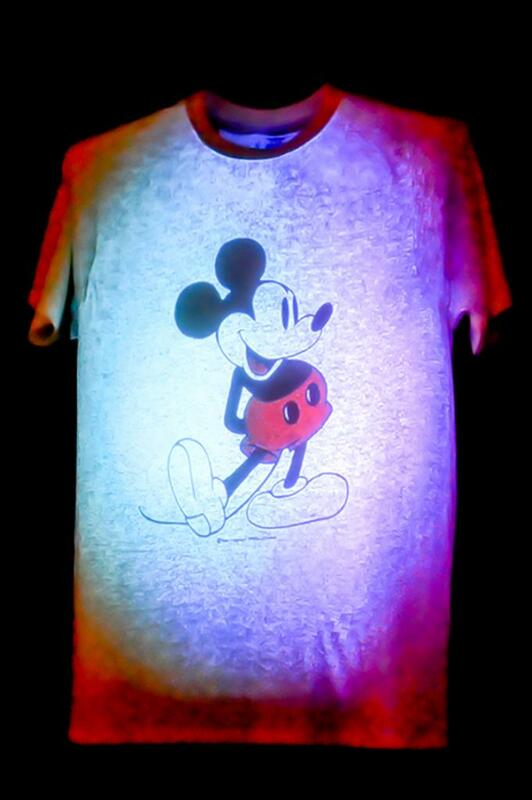 A plain shirt hangs on a darkened wall as a series of images is projected onto it. From yellow smiley faces, to Rolling Stones lips, to political slogans, the humblest of garments carries more than its own weight. Antonelli pointed out how cotton’s comfort belies the difficult lives of those who have traditionally harvested, woven and sewn it. Among the most fascinating are the items that incorporate today’s technology, commissioned by MoMA as a way to extend the discourse and the realm of fashion. There are pantyhose for people in wheelchairs, the Mars boot lined with biodegradable fibers that leave negligible impact on the planet, and a motorcycle jacket embedded with LED lights that signal turns. Items includes classics like Burberry trench coats, Levi’s 501 jeans, Aran sweaters and a Panama hat made in Ecuador, as well as saris, dashikis and headwraps that hint at influences that cross decades and oceans. Footwear ranges from Manolo Blahníks to plastic flip-flops. The section on jewelry includes doorknocker earrings, Tiffany engagement rings and diamond studs once worn exclusively by affluent women and later appropriated by male athletes and musicians. Lapel pins offer a concise and powerful view of history. Badges for Suffragettes marching for women’s voting rights, poppies to commemorate lost soldiers, peace signs, AIDS awareness ribbons, American flags ubiquitous after 9/11 and grinning emojis track a course that cuts through the past 100 years and raises questions. They are answered here by fashion, of where we’ve been, how we got here and where we might be headed.